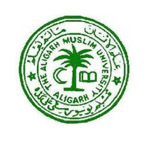 Aligarh Muslim University (AMU) is the prestigious University having 12 faculties namely Agricultural Sciences, Arts, Commerce, Engineering & Technology, Law, Life Sciences, Medicine, Management Studies & Research, Science, Social Sciences, Theology and Unani Medicine. AMU invites separate application form for each course. AMU Admission is strictly based on candidate’s performance in entrance test. MBBS/BDS admission in AMU will be done on the basis of NEET Scores. Candidates seeking admission in Aligarh Muslim University can check details about AMU 2018 application form, eligibility, exam dates, etc from here. AMU will release the separate application form for each course. AMU 2018 application form will be released for various UG/PG and Ph.D courses. Application form will be released online for some of the AMU courses while for some of the courses the application form will be released via offline mode. Online application form can be filled through the official website of AMU. To fill the application form via offline mode, firstly candidates have to download it and then fill it manually. AMU application form 2018 will be released in the month of January 2018 tentatively. Candidates can fill the same application form for the courses for which entrance exam will be held on same day like B.Tech & B.Arch but in such case additional fee of Rs.100/- will be charged. Candidates must ensure that all the details filled in the application form should be correct. Online Payment – By Net Banking or Credit Card/Debit Card. Bank Challan – Fee can be submitted through ICICI or Canara Bank challan. Bank Demand Draft – DD should be drawn in the favor of “Finance Officer” payable at Aligarh. Senior secondary School Certificate or its equivalent examination passed/appearing from this University or any other recognized board with English, Physics, Chemistry and Mathematics. Candidates have to secure at least 50% aggregate marks in the aforesaid subjects. Diploma in Engineering holders who have secured 50% marks in aggregate are also eligible for both the courses. Pass in Senior Secondary School Certificate or an equivalent examination with 50% aggregate marks. Age of the candidate should be more than 22 years as on 1st July of the year of admission. Bachelor’s degree passed with 50% aggregate marks from a recognized institution. The prescribed qualification for admission to this course is Senior Secondary School Certificate or its equivalent examination passed with 45% aggregate marks in English and in any three subjects from Accountancy, Arabic, Banking, Biology, Biotechnology, Business Organization, Business Studies, Chemistry, Commerce, Computer Science, Economics, English, Fine Arts, Geography, Hindi, History, Home Science, Islamic Studies, Mathematics, Persian, Philosophy, Physical Health Education, Physics, Political Science/Civics, Psychology, Sanskrit, Sociology, Urdu and modern Indian Languages. The qualification required to apply for this course is Senior Secondary School Certificate Examination or its equivalent examination passed from a recognized institution by securing 55% aggregate marks in English, Physics, Chemistry, Mathematics/Biology. Engineering & Technology with 55% aggregate marks. Secondary School Certificate of this University or an equivalent examination with minimum 45% aggregate marks in English, Maths and Science. Higher examination passed with minimum 45% aggregate marks in English, Physics, Chemistry and Maths. Age of the candidate should be less than 21 years as on 31st December 2018. Number of Questions: The number of questions for each entrance exams are different. Type of Questions: The question paper of AMU for various entrance exams are of objective type. Exam Medium: The medium of question paper will be English. Subjects: Each course will contain different sections. Mode of Exam: The exam mode will be offline (PBT). Exam Duration: For some of the exams, the duration will be 2 hours while some examination has duration of 3 hours. Negative Marking: There are some examinations in which there is always negative marking like B.Tech, B.Arch. Also, there is no provision of negative marking for some of its papers. The syllabus varies as per the course. Each course has different syllabus. The B.Tech syllabus is basically of 12th standard. The syllabus for B.Arch comprising of hand sketching of scenes, Design & Drawing of Greeting Cards, book cover design, hoardings, logos, etc. Start your study by following a proper study time table. Students are advised to collect syllabus and exam pattern for the desired course before starting preparation. Time management is very important. Manage your time in such a way so that you can get enough time for preparing all the topics. Motivate yourself by practicing previous years question papers. It helps you to understand your weak points. Refer right study materials for preparation. Admit card will be released via online mode. All the applicants can download their AMU 2018 admit card from the University website. Most probably, the admit card will be available before 2 weeks of the entrance exam. AMU 2018 result will be displayed on the notice board of concerned faculty/college/centre/proctor’s office/controller’s website. It is expected that the result will be announced in the month of May/June 2018. Cut-off are the qualifying marks that students have to secure to be eligible for admission. AMU will release separate cut off marks for each course. AMU cut off 2018 is determined by factors like candidates’ performance in entrance exam, seat capacity for respective course, etc. For admission to courses in respective faculty, it is necessary for the candidates to attend the counselling in person. The list of candidates shortlisted for counselling will be displayed on the notice board of concerned faculty/college/centre/proctor’s office/controller’s website. Merit list for some of the courses will be prepared after considering candidate’s performance in written test & interview (wherever applicable). Seats will be allotted to the candidates on the basis of merit obtained in entrance test. For any queries regarding AMU 2018, you may ask us by commenting below.